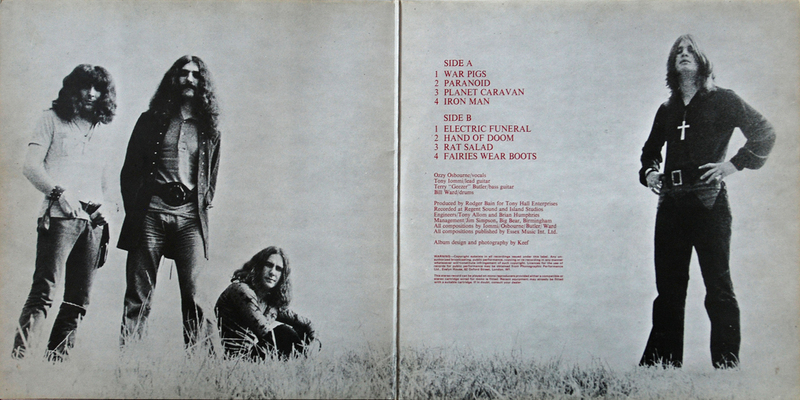 Gatefold sleeve designed and photographed by Marcus Keef. 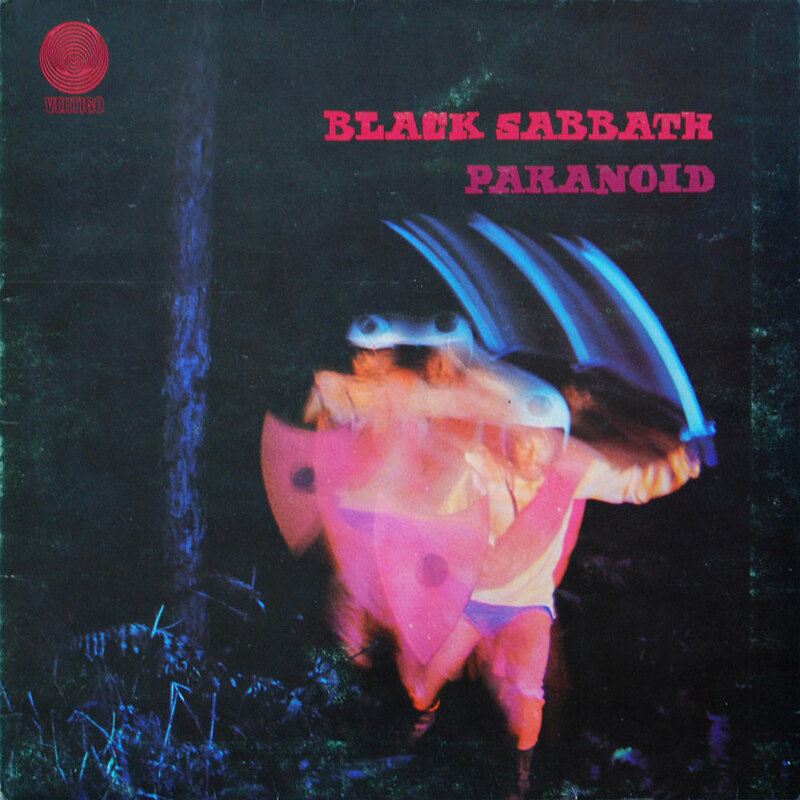 Originally to be titled “War Pigs” this was changed at the last minute to avoid offending the US market due to their ongoing involvement in the Vietnam war. 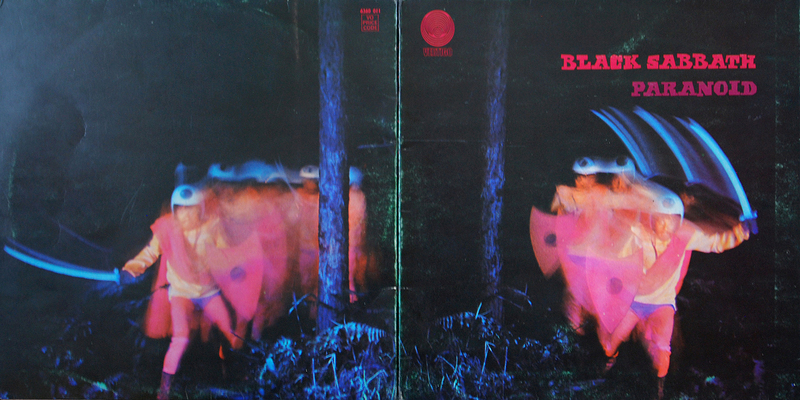 The original title makes more sense with Keef’s cover concept…sleeve is unlaminated on 1st pressing. 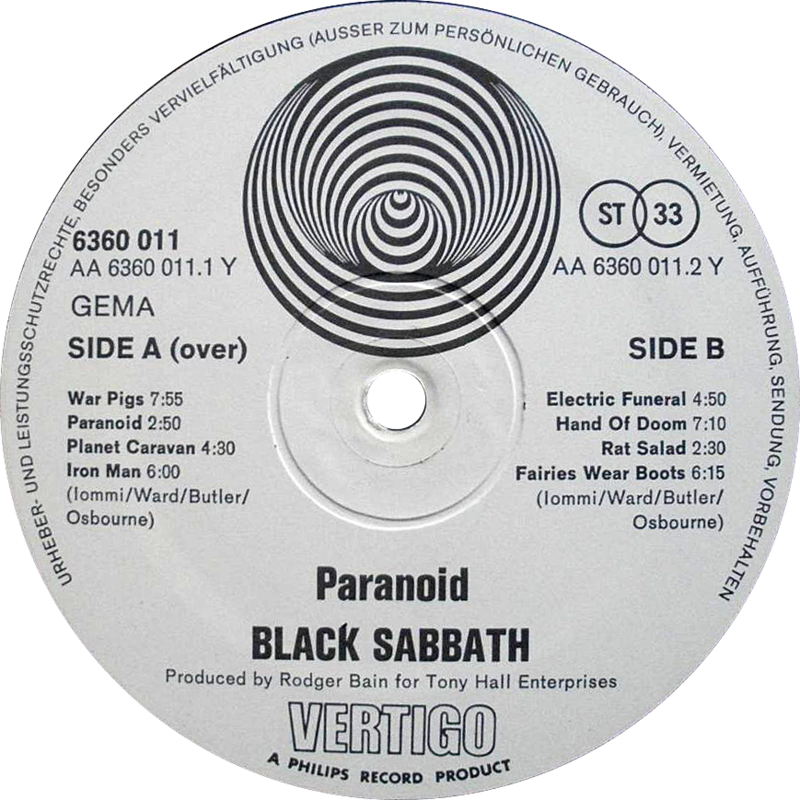 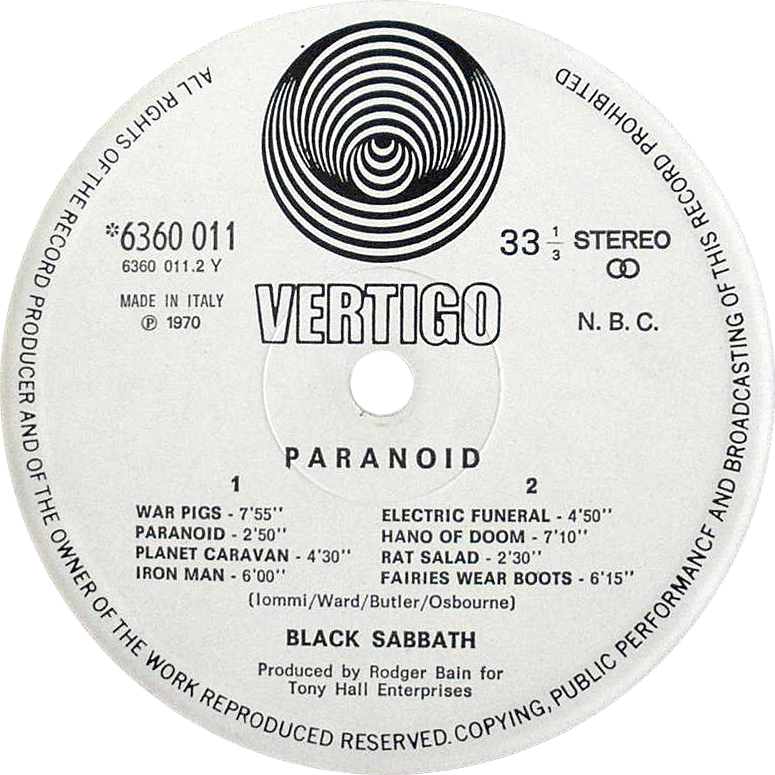 Note the credit to Jim Simpson/Big Bear Managament on inner gatefold – this was immediately withdrawn as soon as it was issued due to contractual disputes between the band and Big Bear. 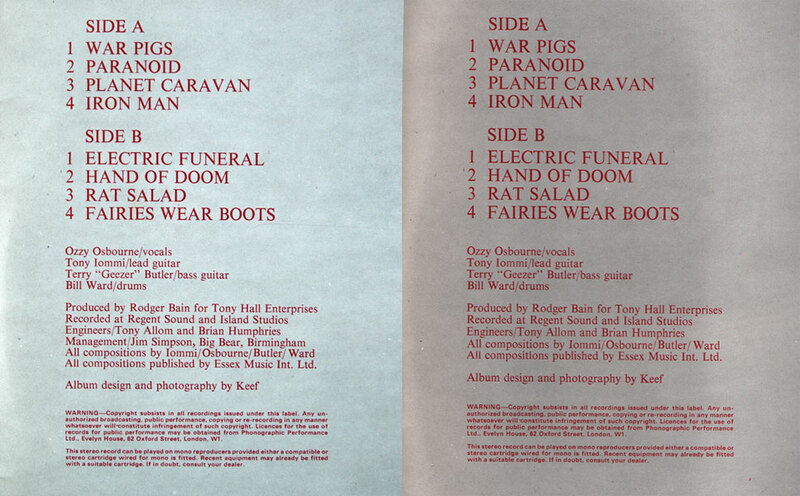 See the reissued version next to the original below. 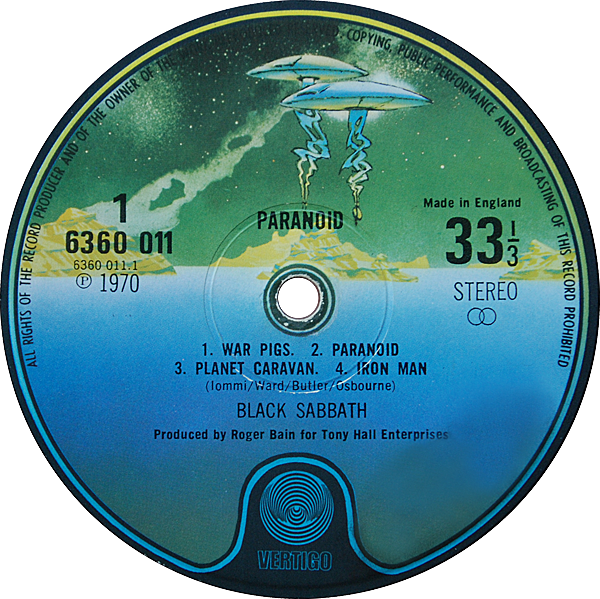 The sleeve was changed to a laminated finish (for 3rd and 4th reissue) due to substantial wear to the outer black finish on the 1st two matt versions – a greenish tinge and the edges of the outer cover where it has been ‘wrapped under’ and glued to the inner gatefold can be seen on many original sleeves. 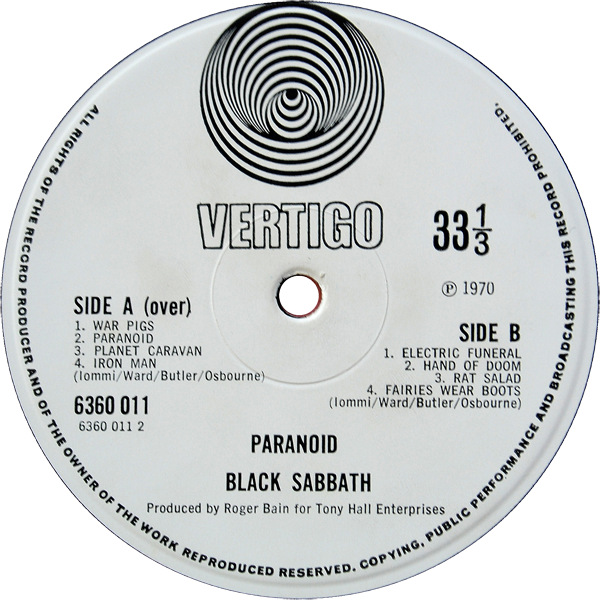 Large swirl logo above spindle. 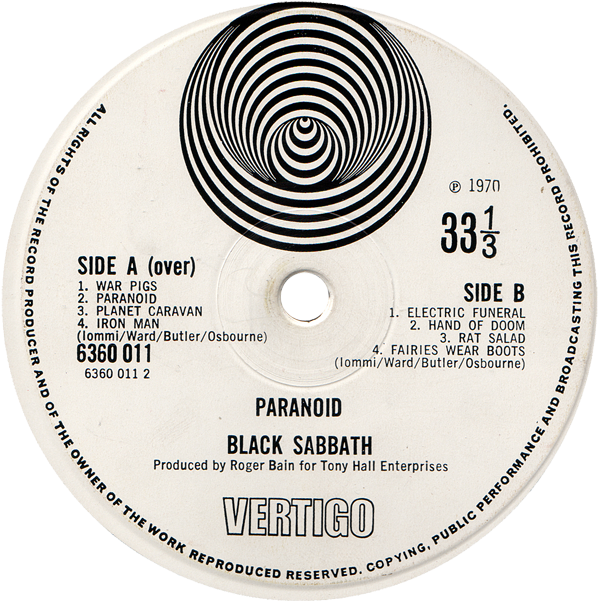 This label design was used for both the first issue (with Big Bear credit – see notes above) and the second issue (with Big Bear credit removed from the inner gatefold). 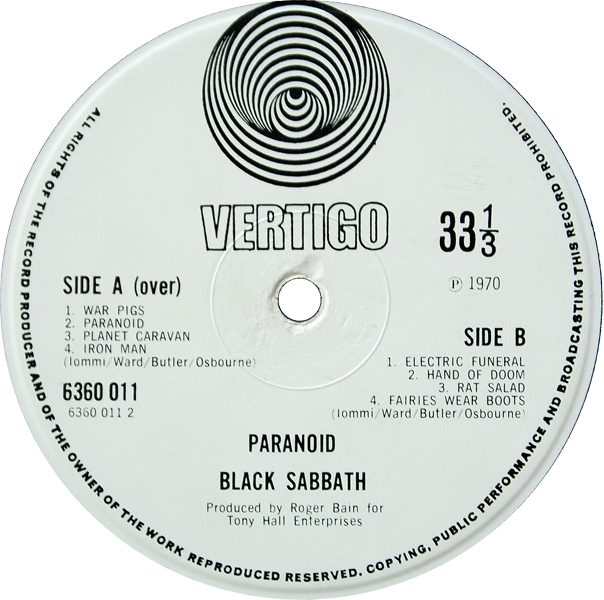 There are two further swirl reissues (with a laminated gatefold sleeve) with the smaller swirl logo and VERTIGO above the spindle – see labels below – and then the final Vertigo reissue on the spaceship label – possibly rarer than some swirl versions.